For the three-member musical tour de force that is The Accidentals, the Michigan band’s return to the Frauenthal Center in downtown Muskegon on Saturday, Dec. 8 is, in many ways, a homecoming. 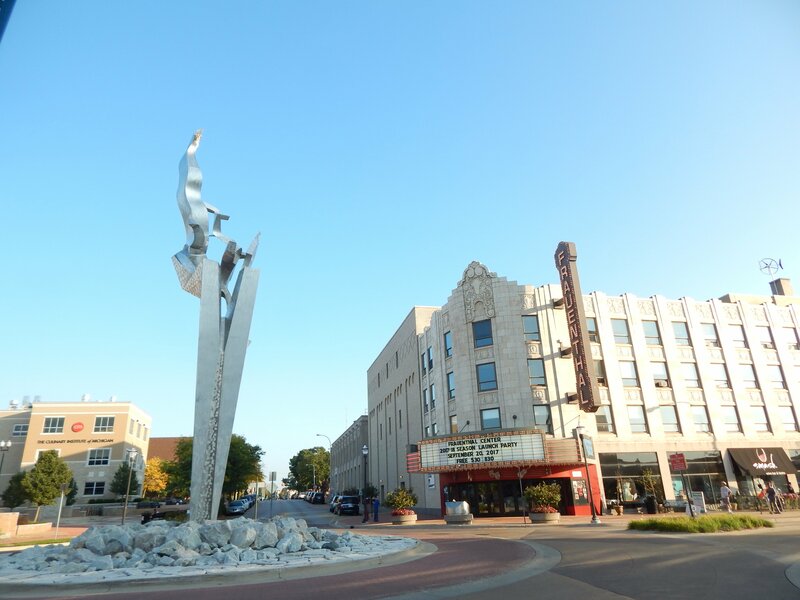 The Muskegon show, which too will feature a variety of guest performers, will wrap up a whirlwind 200-concert tour that took band members Larson, Savannah Buist, also of Traverse City, and Michael Dause, of the Ann Arbor area, across the country in 2018. The Frauenthal performance, named The Accidentals & Friends Holiday Show, will give the band a chance to musically reflect on a year that has continued to land them in the hearts of audiences and critics alike. Named after the musical notes that fall outside of a key signature, The Accidentals are often described as a genre melding trio—all of whom are in their early 20s—who frequently invoke their love of everything from folk and rock to gypsy jazz and electric tunes in songs that span from a musical love letter to Michigan to celebrating venturing off the beaten path. “The Accidentals display a genre-hopping range of influences and some smart songwriting skills to go with their abundant musical chops,” Billboard Magazine wrote of the musicians who landed on Billboard’s Breakout Band at SXSW 2015, Huffington Post’s Sweet Sixteen of 2016, and Yahoo Music’s 10 Artists to Watch in 2017. 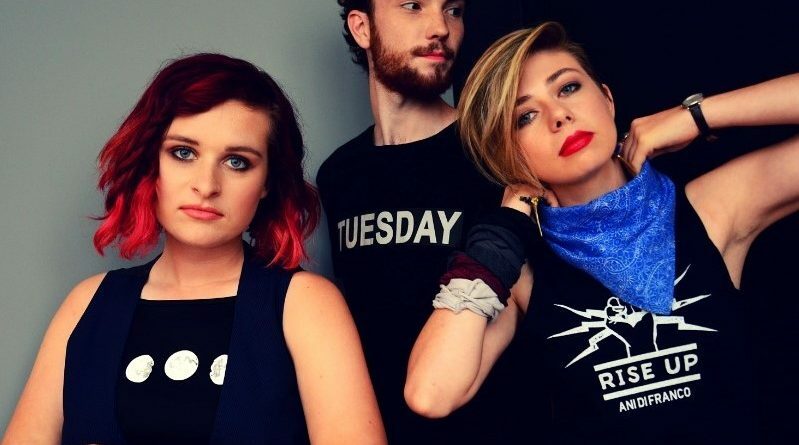 “The Accidentals know all about using finesse, and fun, to make an impact,” NPR wrote in their review of “Odyssey,” the band’s 2018 major label debut on New York’s Sony Music Masterworks—a label that includes such artists as Yo-Yo Ma, The Lone Bellow, and Sonny Rollins. After Buist and Larson met in their high school’s orchestra program in Traverse City in 2011, the two went on to connect with Dause at a Michigan music festival, and, in 2014, the three started touring as a band full-time. 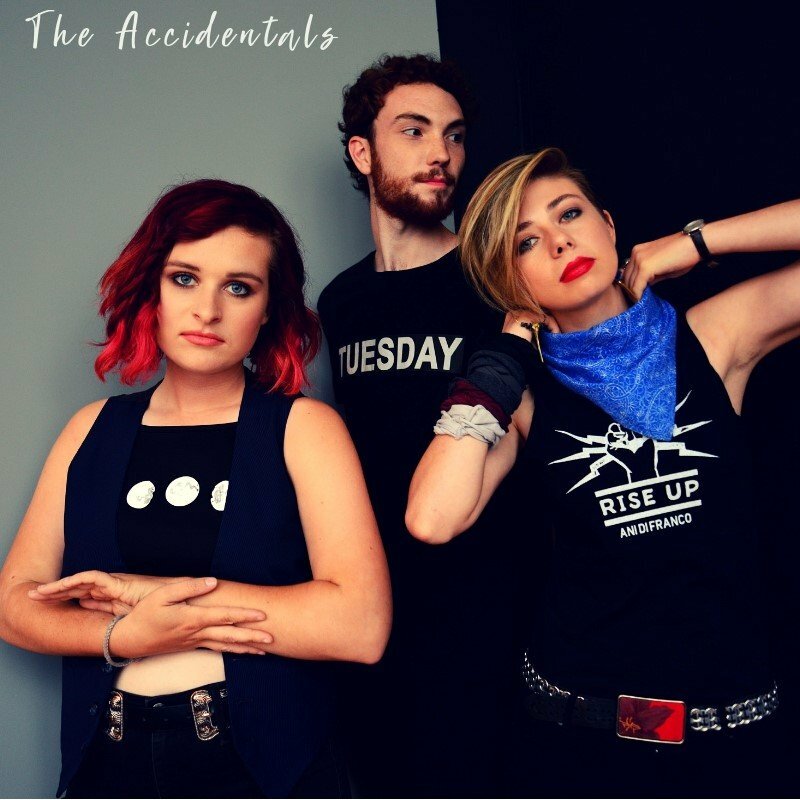 Evolving from indie darlings to playing sold-out shows in major venues throughout the country, from New York City to San Francisco, The Accidentals have shared stages along such acts as Keller Williams, Martin Sexton, Brandi Carlile, Andrew Bird, The Wailers, and Joan Baez. And, no matter where they are, the three are sure to bring some of the Mitten to the rest of the country. In addition to their love for Michigan, the three have focused on a passion for music education as they travel the country. Heaping praise on their high schools’ strong orchestra programs, the three musicians touted music education’s ability to empower students who may be struggling. “We’d really like to see those programs expand and for their to be more resources for the teachers,” Larson continued. With this focus on connecting with younger musicians in mind, The Accidentals are about to record an original song of theirs with the Contemporary Youth Orchestra, the country’s only youth orchestra dedicated to the study and performance of contemporary orchestral literature. While the musicians will get a slight break in December, they then embark on a major January tour, after which they’re hoping to have time to record their next album. Whenever that happens, there’s no doubt it will keep listeners on their toes, inviting them into a world filled with exploration, creativity, and a reminder that we all need to leave our comfort zone every now and then—to get out under Michigan’s night skies and dream of all that is to come. The Accidentals & Friends Holiday Show will be held at the Frauenthal Center in downtown Muskegon (425 W. Western Ave.) on Saturday, Dec. 8 from 7:30-10pm. Tickets are $20 for adults, $10 for students, and $45 for VIP, which includes a pre-show meet and greet with the band. For more information and to purchase tickets, please click here. Story by Anna Gustafson, the publisher and editor of Muskegon Times. Photos courtesy of The Accidentals. Connect with Anna by emailing MuskegonTimes@gmail.com or on Facebook, Twitter and Instagram.